From the Departments of Otolaryngology, The New York Eye & Ear Infirmary, New York, New York and New York Medical College, Valhalla, New York, U.S.A. Consecutive patients undergoing CR (performed by the principal investigator (PI) in a tertiary care academic practice) at the same operative setting as ESS from June 2004–June 2007 were identified. Additionally, patients undergoing CR (also by the PI) without ESS over the same time period (matched for gender, age, and rhinoplasty approach and techniques) were identified and used as control subjects. The office and hospital charts of these patients were reviewed for details of pre-, intra-, peri-, and postoperative care, preoperative CT scans as well as for patient and physician observations. 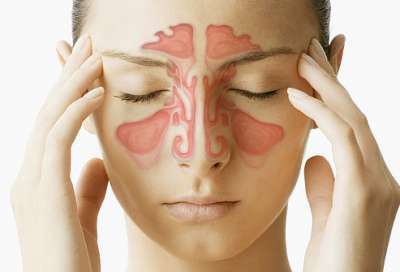 Specifically noted were details regarding the type of cosmetic changes sought, course of symptoms of chronic sinusitis, prior treatment, surgical techniques used for both ESS and CR, and postoperative treatment with antibiotics and corticosteroids Additionally, a literature review of articles describing concurrent CR and ESS was performed. Thirteen patients were identified who underwent ESS at the same time as CR. There were no cases of cerebrospinal fluid leak, epistaxis, orbital complications, septal perforation, cellulitis or saddle nose deformity.